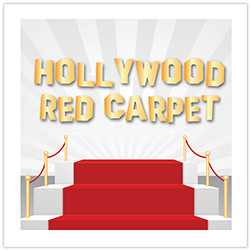 Take a walk on the Red Carpet as we celebrate all of the glitz and glamour of Hollywood! You get to be the star of this star-studded event. Be the talk of the crop when you come dressed as your favorite big or small screen star and receive your star on the Hollywood Walk Of Fame. Maybe you will hop in your limo and bring some great decoration to turn your table into your favorite Hollywood TV or movie scene. Two lucky crop stars will get to headline in the Stamp & Scrapbook Expo’s version of….well now we cannot give this Hollywood secret away just yet. Did someone say Paparazzi?? Bring along pictures that you may have taken of a Hollywood legend. Get your front row seat for this amazing night of Hollywood magic. This enchanting Hollywood evening will end with those famous words “and the winner is”!